Coronary Atherosclerosis (also known as heart disease) is a disease in which plaque builds up inside the arteries. Arteries are blood vessels that carry oxygen-rich blood to the heart and other parts of the body. Plaque is made up of fat, cholesterol, calcium, and other substances found in the blood. Over time, plaque hardens and narrows your arteries. This limits the flow of oxygen-rich blood to the organs and other parts of the body. Atherosclerosis can lead to serious problems including heart attack, stroke or even death. It can affect any artery in the body, including arteries in the heart, brain, arms, legs, pelvis and kidneys. As a result, different diseases may develop based on which arteries are affected. 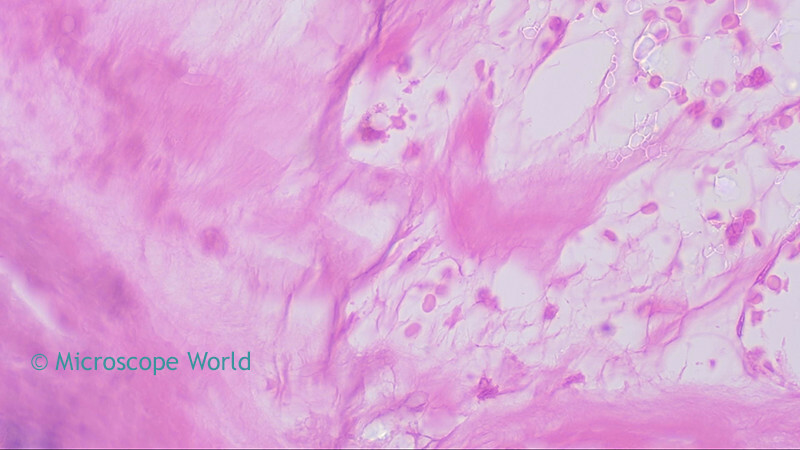 The images below of coronary atherosclerosis were captured with the RB30 biological microscope. 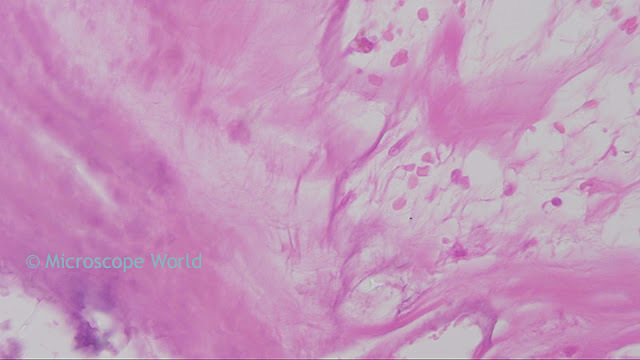 A high definition microscopy camera was used to capture the images to an SD card. Coronary Atherosclerosis under the microscope at 40x. 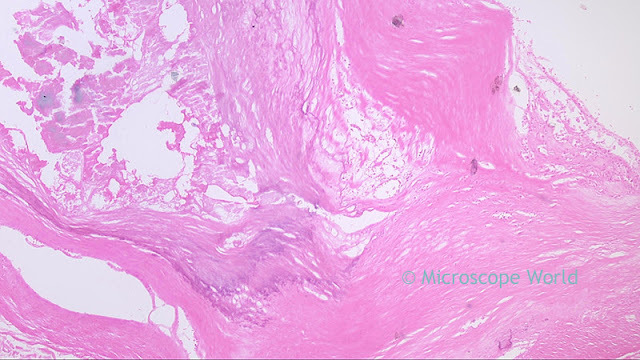 Coronary Atherosclerosis under the microscope at 100x. Coronary Atherosclerosis under the microscope at 400x. 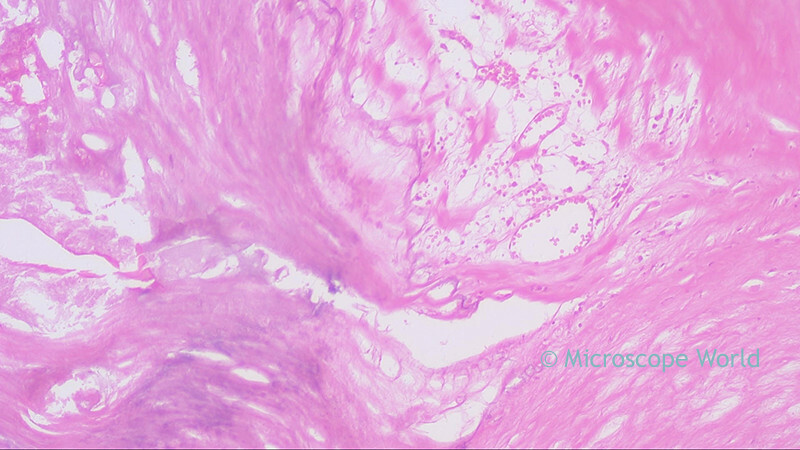 Coronary Atherosclerosis under the microscope at 400x using a Plan Fluor Apochromat Objective.